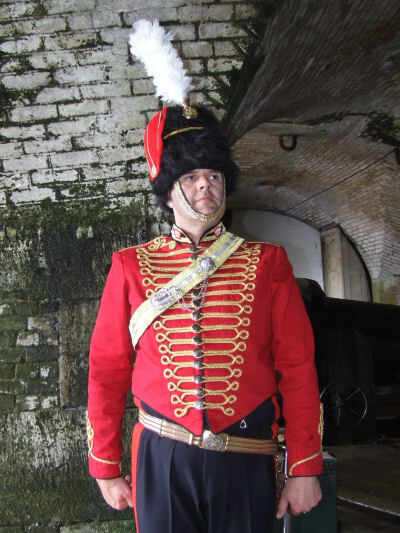 I am looking for information on Manufacturers and suppliers who have in the past supplied products to 'The Thin Red Line' otherwise known as 'Victorian Tymes'. Please email me if you know of any. Please note that when it comes to researching uniforms, particularly those worn during the Zulu war, reference to films should be taken with a pinch of salt. It is particularly worth noting that the uniform worn by Michael Caine in Zulu is nothing like anything that may have been worn during the 1870-1880 period (other than the colour). 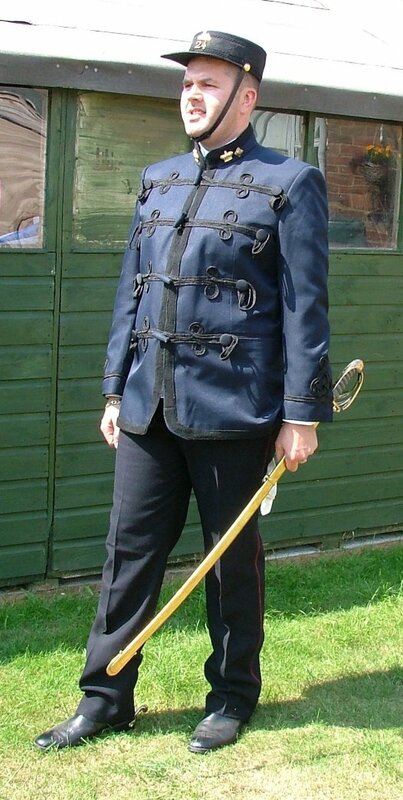 It is actually more like a post 1881 tunic. 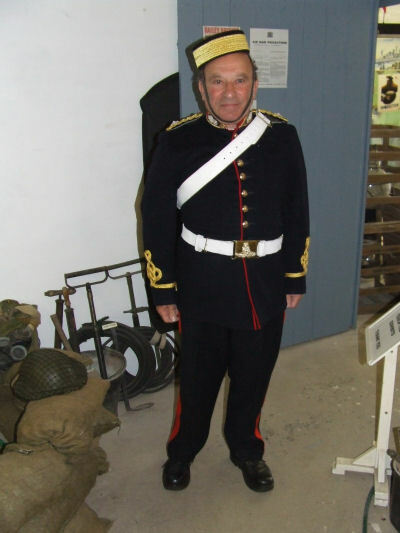 If you would like help in putting together a uniform I am able to provide information on most things and can even get some items produced for you such as tunics, trousers and head dress etc. Please allow plenty of time though, as I usually make or get items to order. 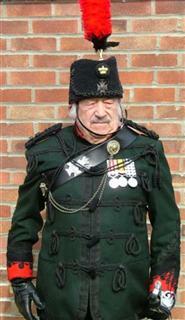 I am hoping to build up and post a number of pages relating to original uniforms of various regiments and dress. 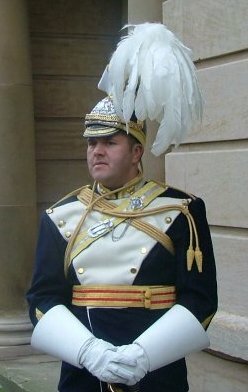 If you have any uniforms and could take hi-res digital pictures and would like to send them to me with details of what they are I would be most grateful and will include them (with credits etc) as I produce them. Watch this space. Thanks. 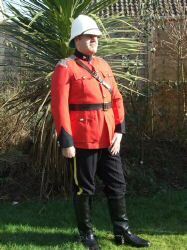 All uniform recreations require considerable research into exactly what the items should look like. It would appear that because officers generally brought their own uniforms, there were certain minor differences, possibly due to different tailors interpreting dress regulations differently, but also because news of dress regulation changes took time to reach some officers. 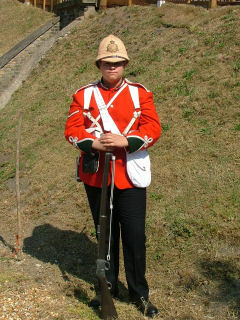 Others would continue to wear their old uniforms until they needed to be replaced and only then adopted the new regulation pattern. 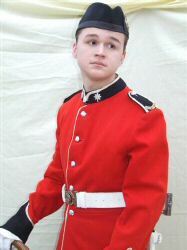 Research into the uniforms obviously has to start with the appropriate regimental museum and period dress regulations. I have however formed an opinion that most museums if they have the items that you seek, tend to display the items so that only the important features are shown. most of these items are generally displayed in sealed cases and are not able to be rotated for photographing etc. Similarly, any pictures in books or on most websites tend only to show the front of an item. You try to find pictures of the rear of any officer wearing his full dress and pouch belt. However, if you regularly browse through online auction sites and are lucky enough to find an original item for sale, the seller normally provides all round photos, top bottom and sometimes even inside. These are invaluable! I have now built up quite a collection of pictures from said sites and can provide you with any information that I might have. If you are or have been a seller at some time, you might find a copy of your pictures on these pages. I hope you will not mind. If you do have any objections please contact me to discuss these.